In Russia, Olga is still trying to navigate new motherhood, recovering from a C-section, and absorbing Steven’s toxic rage. She is officially on our watch list and – despite how vehemently she defends his actions on social media – must be protected!!! Baby Richie is three weeks old, and Steven only has three weeks left before he leaves Russia. So he heads to see an immigration lawyer about starting the K1 visa process for Olga. Despite their MAJOR issues as a couple, Olga sees America as a better place to start their family, period. At the law office, Steven is given some bummer news: It will be simple to get Richie his U.S. citizenship, but Olga’s visa is going to be a problem due to the political situation between the two countries. Since Steven hasn’t read the news – like, ever – he’s shocked. He’s hesitant to tell Olga the bad news, but does anyway when he returns to their apartment. They don’t know what to do next for her, but fly to Moscow to visit the U.S. Embassy for Richie’s citizenship in the meantime. While in Moscow, Olga and Steven meet up with her good friend, Anna. At the park, Anna gushes over the baby, but side eyes Steven – and rightly so. She asks how things are going, and Steven admits he’s been volatile. Of course, hideous gaslighter that he is, Steven blames his temper 100% on Olga. Anna is worried. She wants Steven to be a stable presence in Olga and the baby’s life, but it’s not looking good. “Are you here for the child or for Olga?” asks Anna. Steven honestly doesn’t know, which is a fair answer, considering neither one of them planned to be parents after a summer fling. It’s tough for Olga to hear that though. Steven respects how protective Anna is, promising that he’ll take good care of Olga. Anna walks away, not convinced of anything except that Olga’s eyes are basically screaming “H-E-L-P M-E!” as she watches her only friend walk away. Since reading the horrific racist comments posted on their wedding website, Ashley and Jay have been rethinking their big day. Family and friends have even dropped out of the wedding, fearful that something awful might go down at the venue. After long talks, the couple finally reaches a conclusion: All of their original wedding plans will be canceled in favor of eloping to Vegas. When Ashley and Jay deliver the news to Ashley’s friends (and bridesmaids), everyone is disappointed, but supportive. These chicks have had two previous weddings canceled on them already! What’s a third matter? But seriously – they understand the nightmarish – and totally unfair – predicament Ashley and Jay find themselves in. So they wish them well at the Elvis chapel and mentally calculate how much money they can get on Poshmark for those bridesmaids dresses. Flashing forward, Ashley and Jay pack their suitcases for Vegas. With only four days to wed, they need to get to Sin City quickly. 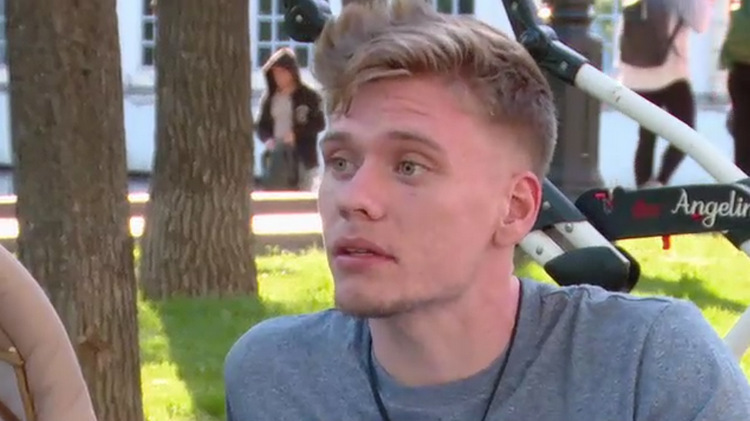 Jay is nervous about getting married at such a young age, but he’ll be okay.. Hmm…may I suggest he make a pit stop by Coltee’s house in Vegas to get a good look at the hell he could be living in? Or better yet, head on up to Baraboo and check out the fiery inferno of never-ending torture you could be subjected to! Just when they’re feeling comfortable, the doorbell rings. Is it Natalie? 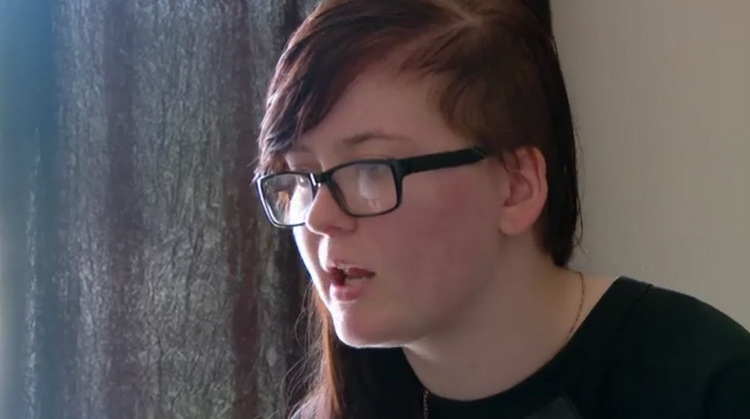 Someone who looks a lot like her demands to talk to Ashley. GROAN. We’ll have to wait until next week to see what this new f**kery is all about. It’s the end of their trip to Chicago, and Fernanda feels like her relationship with Jonathan’s mom is better, but not perfect. She’s more concerned about Jonathan repairing his relationship with mom, though. That’s actually the root issue here. In tears at a coffee shop, Jonathan admits he’s grown distant from his family and it’s not right. “I want to make things better,” he says. 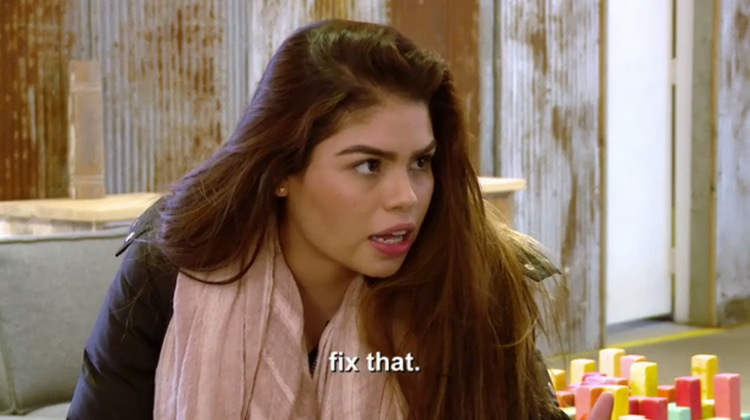 Fernanda schools him about calling his mom more and telling her that he loves her. He says he’ll try. Fernanda hopes he does, for all of their sakes. It’s time for Larissa to pick out her wedding dress, so she takes Debbie and Colt’s cousin’s wife, Leah, along for moral support – except they aren’t about to give her any. Larissa tries on a beautiful first dress (and truly, she should go with that one! ), then a “more sexier” dress that Colt would allegedly approve of. Only one problem: Colt has given her a $1,000 budget and the dress costs $2K. MOTHER does not approve. So she puts it to Larissa like this: You can have the $2K dress now and delay your green card, or you can stick to your budget and get your green card on time. Larissa, of course, wants her green card ASAP, but she doesn’t like Mother Colt speaking to her this way. The financial decisions are ALL under Colt & Mommy’s control, leaving Larissa to obey orders. It’s twisted. Later on, Colt’s cousins come over for a barbecue, and sh*t hits the fan when Cousin John loses the facade of keeping the peace. After totally ignoring Larissa upon arrival, then arguing about Larissa “not caring about Aunt Debbie,” John bursts into a diatribe about Larissa just being after Colt’s money. He thinks Larissa is a grifter, plain and simple. 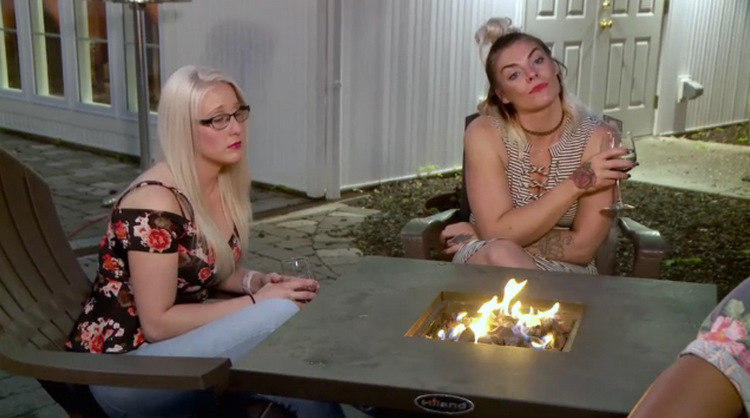 So Larissa vocalizes her issues with Debbie, but that doesn’t go over well. Larissa laughs, thinking about the fact that she rides around in a car without AC and has to obey all of Colt and Debbie’s rules, especially regarding finances. “That b*tch is here for his money, period!” accuses John, which is a heinous thing to say no matter how he feels about Larissa. But even at this moment, COLT STILL DOES NOTHING. So Larissa fights back, telling John and his wife they’re uninvited to the wedding. “Who is against the queen will die!” shouts Larissa from the top of the steps. 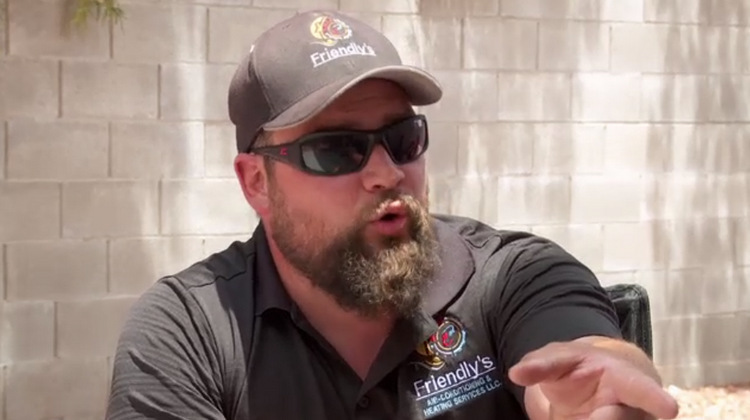 Colt quietly comments that he can’t handle an irrational person like Larissa, yet doesn’t say a word about John repeatedly calling his fiance an outright b*tch. WOW. This is beyond toxic. And no matter what John may think, Colt needs to man the eff up and decide where his loyalties lie. He also needs to remind himself exactly why he decided to go abroad to seek out a woman entirely out of his dating league. This whole relationship is transactional, and it’s unfair to blame Larissa for being the only user here. Later on, Larissa tells Colt that Debbie poisoned the cousins against her. 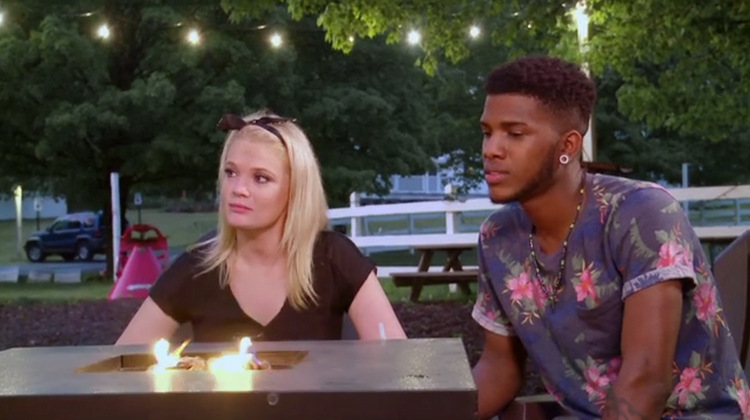 Colt doesn’t care – he thinks Larissa is fanning the flames by “not giving them a reason to not hate you.” Um…QUE? Feeling unsupported, Larissa repeats that no one who is against her can come to the wedding. But when Larissa starts arguing with Debbie about her turning others against her, Colt steps in with a firmer hand. “You go from zero to b*tch in two seconds,” he says. “I’m DONE! I am so done with you!” shouts Debbie when Larissa accuses her of slamming the door. “I’ll call the police!” Larissa threatens. 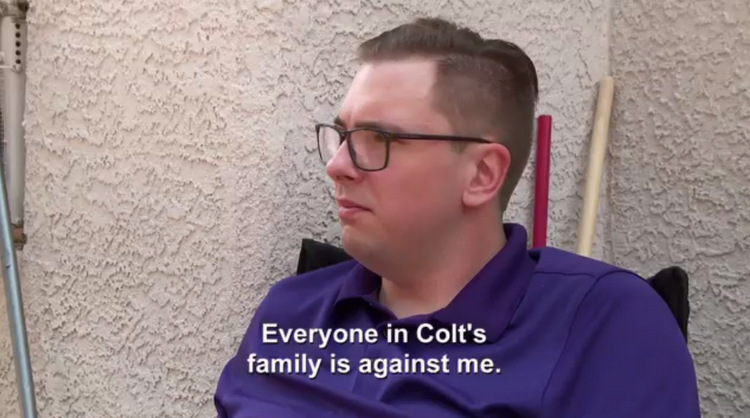 Colt tells Larissa she can’t be offended by everyone all of the time. She’s no angel, and everyone isn’t against her. “So take your ring and marry the woman your mother likes,” yells Larissa, throwing her ring at Colt. Even though he’s making some sense in his estimation of the situation, Colt doesn’t seem to understand the finer points of defending his fiance – even if she IS super-extra-crispy-crazy. 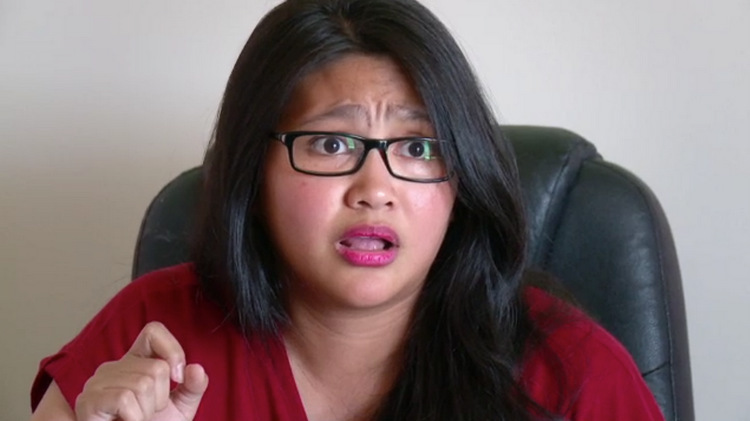 If we thought Leida was a holy terror last week, we had no idea what this foul ghoul was capable of. Because when cameras pick up with the argument in the car this week, things go from bad to downright despicable. Bottom line: Leida resents the fact that Eric pays child support ($1,000/month) for his youngest daughter. So she demands that he stop that nonsense immediately and give the money to HER. In shock, Eric argues that he’s not going to stop supporting his child just because Leida wants more money. She’s like, “Fine! Then don’t marry me!” Ripping off his mic pack, Eric storms out of the car and declares, “We’re done here. Done!” But we all know this isn’t the end. Two questions: 1) Can Eric not get laid THIS BADLY that he has to resort to marrying a monster? 2) Is Leida convinced that the only way to pursue a medical degree in the U.S. is by sleeping on Eric’s boxspring? THIS IS A NIGHTMARE. The next day, Eric takes Leida to a public park, where he schools her again about why being a deadbeat dad is not an option and that she is vile to even ask it of him. “So you’d rather get married and make me unhappy about it?” whines Leida. 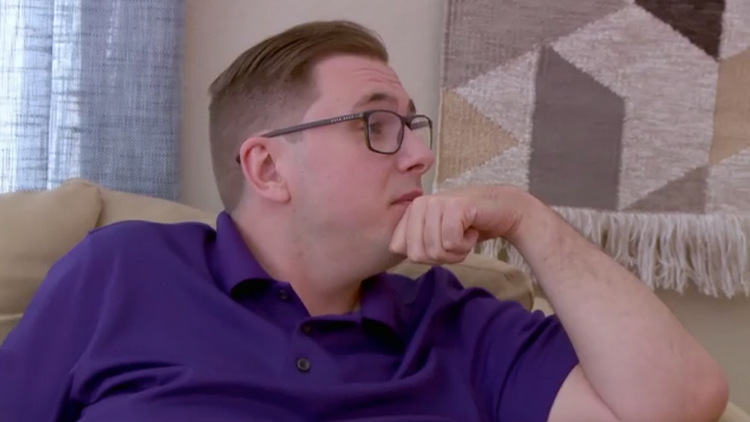 “I have to accept that?” Obviously too desperate to care about marrying this evil shrew, Eric keeps begging Leida to accept his terms. RELATED: Did 90 Day Fiance Stars Eric Rosenbrook & Leida Margaretha Get Married In Indonesia Last Year? Leida will do no such thing! She wants to be Eric’s number one priority, and she doesn’t care if Eric has to give up his parental rights to do so. She also claims she’s “not here for the green card,” which Eric stupidly accepts as true. As a consolation prize for Leida, he also agrees to kick Tasha out of the apartment ASAP. Thus, he is officially just as monstrous as Leida is. Back at the apartment, Leida is concerned with their very IMPROPER arrangement. She wants Tasha out now and tells her so when she comes home, after screaming at her for being messy. Tasha accuses Leida of invading her privacy, but Leida doesn’t care. “I AM THE BOSS!” she screams, telling Tasha that her own father doesn’t want her there anymore, especially since she spends most of her time at her boyfriend’s place. “You have to leave,” she demands. “Make me,” says Tasha. And it’s now that we get into a venomous battle that can only be described as extremely juvenile and utterly depressing. So Leida calls her bluff by getting Eric on the phone to back her up and, sadly, he does. “Tasha, you’re not even staying there anymore,” he says. “Just get your sh*t and get out!” WOW. Tasha tells Leida she doesn’t deserve her father, to get out of “her” country, then goes to pack her room. Finally, she leaves with a few bags, telling Leida she’s done with her dramatic attitude. Lots of swearing and door slamming rounds out these scene of extreme toxicity, leaving Tasha out on the street crying and wondering if she’ll ever have a relationship with her father again. MY GOD, THESE PEOPLE ARE AWFUL!!! Seriously – have we ever witnessed a couple this wretched, this despicable…EVER?!?!? They make frigging Jorge and Anfisa look functional. And that’s basically #MissionImpossible. TELL US: COLT & LARISSA…? ERIC & LEIDA…? DISCUSS.